Technological innovation tends to be disruptive by nature. It renders the old way obsolete by way of improvement. It changes things, offering us a different tomorrow. The pace of innovation is now so fast that we expect it even before we can anticipate the form it will take, and embrace solutions before we’re aware of the problem. Disruption has become the norm. Bringing clear-minded thinking to it all can be difficult. There are few better at doing so than Doc Searls, journalist, writer, blogger, academic and all-round Internet visionary. 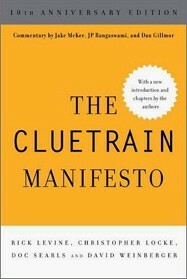 Author of 2012 book The Intention Economy: When Customers Take Charge, Doc also co-wrote The Cluetrain Manifesto — a far-sighted treatise that caused a sensation when it was published in 1999. It became a business bestseller and was quickly seized upon by marketers looking to make sense of the new challenges and opportunities presented by the Internet. There it was in black and white — 95 straightforward theses spelling out the fundamentals of the digital disruption that is still busily turning entire industries inside out. Our personal data is central to much of the disruption and innovation happening now. How our data is gathered, who can use it and for what purpose, where the balance of benefit should lie — these are all issues of huge importance to both businesses and consumers. It is the latter now with so much of the power: people, individuals, us, you. Here, in the first of two articles, Doc talks to Internet of Me about how the fundamental truths of The Cluetrain Manifesto relate to the profound changes taking place in the personal data economy and the real value of our information to us as human beings. IoM: There are clear parallels between The Cluetrain Manifesto and what’s happening now in the personal data economy. We are witnessing a seismic shift in behaviour that is beyond the control of companies, with consumers more aware of the value of their data and their rights over it. Is this something of a ‘Cluetrain moment’ in terms of personal information? Doc: I hope so. But it’s about more than data. So let me talk about Cluetrain first and data second. Cluetrain was — and still is — about the Internet and how it blows up business as usual by giving us all new powers. We are not seats or eyeballs or end users or consumers. We are human beings — and our reach exceeds your grasp. Deal with it. It says that businesses not only don’t understand us, but that our power exceeds theirs. Alas, it wasn’t true. Our reach did not exceed their grasp, and still doesn’t. But the Net as we know it today is still young, and we have been gaining power throughout a ‘Cluetrain moment’ that is now almost seventeen years long. But the struggle to gain power is a much older one, dating back to when industry won the Industrial Revolution, a century and a half ago. Industry won with scale: through mass manufacture, mass marketing, mass distribution, mass media, and mass ‘agreements’ we were all forced to sign. We still see these every time we click ‘agree’ to the 55-screen contract on our smartphones. That we still accept these one-sided terms, almost without question, betrays a powerlessness that has been the norm for generations. Way back in 1943, the law professor Friedrich Kessler called these non-agreements ‘contracts of adhesion’, because they force one side to adhere while the other can do what it pleases, including changing the terms on a whim, with no recourse for the other party. Yet, speaking of the ‘Cluetrain moment’, this is starting to change. Individuals are getting scale through individual manufacture (the ‘maker movement’), individual publishing and broadcast media (blogs, podcasting, webcasting), individual retailing, and terms individuals can assert. That last one is being worked on by Customer Commons and other groups around the world, in collaboration with law schools. We’ll make our new terms stick, because now we are getting leverage, for example though ad blocking. According to PageFair and Adobe, the number of people blocking ads passed 200 million worldwide last June, with increase rates in the prior year of 41% worldwide, 48% in the US and 82% in the UK. This is already the biggest boycott in human history and getting bigger. We haven’t begun to see the bargaining power it brings. While it’s easy to focus on data as an issue, it is also important to understand that data is to everything online what atoms are to everything in the physical world. We can’t live without them, but we also can’t reduce everything to them. The Internet of Me is about me, not my data. It’s about what I do, not what I have, or the ones and zeros that comprise it. But whereas The Cluetrain Manifesto was about the disruptive power of the internet as a whole, is it now about how our personal data shapes our experiences within it? Now it’s about how we build and control what we need to live fully human lives online. That comes first. Data comes second. Look at it this way. The Internet is Eden. We arrived naked there, just as our ancestors arrived naked in the natural world. Neither the Net nor nature came with privacy. We had to invent privacy in the natural world, starting with clothing and shelter. We still don’t have those online. Browsers ought to be private, but they’re not — yet. Our personal clouds could be. But we still don’t have a fully developed and common understanding of how to keep our lives and digital possessions private, and how we share what’s ours in ways that keep it private. We don’t even agree about what to call the places where we keep the data we might share. Personal clouds? PIMS? Vaults? Lockers? I believe the key piece is not the container, but the terms. When we can make vividly clear what our terms are, then we’ll have the protected conceptual spaces in which we can weave and build the digital equivalents of clothing and shelter. The temporal ones (when, until, since) work pretty much the same online as they do offline. But the spatial ones do not. And this is a tough one, because they can’t. That’s because in the Net there is no space, because the Net puts us, by design, a functional distance apart of zero. This is not only a new experience for human beings, but it throws all positional prepositions out the window. There is no atop, near, beside, between, within or under. Two parties talking to each other on Skype are present in the same virtual non-place. Even more confusing, they are in each other’s rooms, or heads (if both are listening on headphones). When we visit a website we don’t actually go anywhere. We simply request its presence on our browser and the network makes it appear. Data also does not travel. It replicates. When we send emails to each other, we make copies. I have one, and you have one. We say we ‘send’ and ‘receive’ them from each other, and comprehend the whole process in terms inherited from postal services; but in fact we’re just copying data over a network. In Kevin Kelly’s perfect metaphor, ‘the Internet is a copy machine’. We don’t do that with the stuff described with prepositions in the physical world. I can put my car in my garage in the physical world, but the car I call my browser in the virtual world doesn’t really go anywhere and doesn’t live outside a directory in my computer or mobile device. And while I have a sense that it lives inside one or both of those things, it doesn’t have to. It can be a service in a cloud somewhere that isn’t really a ‘where’ at all. True, all code and the machinery that contains it reposes in some physical space, but the design of systems and networks no longer require that we know where that is. Unless we want to control it. Then the controls need to be on our devices, which are extensions of ourselves. Personal devices are critically important for the Internet of Me. This brings us to another grace of human existence: our ability to extend ourselves beyond our bodies through expert operation of tools and other devices. It is no accident that the driver speaks of ‘my wheels’, ‘my engine’ and ‘my fender’, and that the pilot speaks of ‘my wings’ and ‘my landing gear’. By a process called ‘indwelling’ our senses expand to suffuse the larger bodies of the things we operate. On the Net, so far, the limits of indwelling are the boundaries of our own devices. That’s where the Internet of Me starts. We haven’t worked out the rest, but we will. There is a parallel in the resistance of many companies to accept the necessary shift in control — for the good of themselves and their customers — and the inevitability of that shift. Do you see that as being like the ‘conversation that is taking place anyway’ that is central to The Cluetrain Manifesto? To be fair, companies don’t know what to do yet because customers and users (not necessarily the same thing — there’s a Venn overlap there) haven’t showed up as fully independent, autonomous and respectable participants in the marketplace. That’s why the first movers need to be individuals, using tools of their own, assisted by services that put enlarging their agency first. So is this the next big test for companies? Is this a key turning point that will define the Internet of the future? Can transparency save those Internet services that have appeared ‘free’ now that we all know they have been funded by harvesting and capitalising on our personal data? It won’t be a test. It will be a call for adaptation. Some will adapt, others won’t. It is important to understand that the Internet was designed to be free. It has no first cost, any more than words have a first cost. It’s just a protocol — but one that radically changes the whole world by putting everything in it a distance apart of zero, at zero cost as well. If the phone companies of the world designed it, they would have started with billing and charged for ‘long distance’. But they didn’t. Still, they are to some degree in a position of leverage, which is why they charge for sums of data, and impose data caps and rate tiers. They do that because it’s what they know how to do. But data has no weight and no first costs. All measures of it are to some degree delusional and to an infinite degree retro. But both too will pass, as we adjust our understanding of the Net to its actual nature, rather than to the ways we think it resembles telephony. That some companies offer free services paid for by advertising is just a fact of early life on a Net that is still less than 21 years old. That many of these free services have harvested data from individuals is also a fact of early life that may well be a temporary one. It is certainly being challenged right now by ad blocking, and by its own corruption by malware and fraud. The Internet of Me is no more about bad acting than civilization is about wolves and snakes. We need to be mindful of the harms that can befall us, but the real work is building out means for personal agency to operate at full power in the world. If we do, the habitat surrounding us won’t be hospitable to predators and other bad actors. And what are companies afraid of? Losing competitive advantage? An easier environment for customers to move away with better data portability? All companies are afraid of disruption, even when they talk about embracing it. What matters is what we invent for individuals. That’s it. After that, nature will take care of the rest. 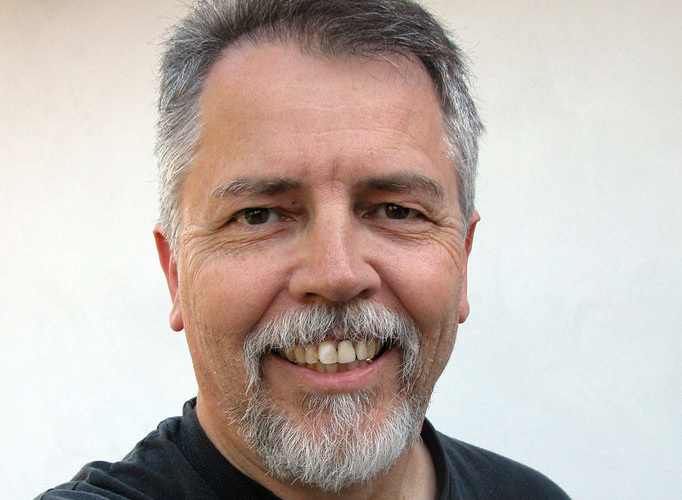 In the follow-up Internet of Me article, Doc Searls talks about giving customers more control by making them active participants in the CRM relationship, the ad blocking battlefield and his vision for the Internet of the future.